Stockbox Photo® one of the original pioneers in "Do-it-Yourself Stock Photo Sales" celebrates it's 15th year of success. Looking back, it gives us great pride to see how the software has been used by photographers and artists around the world to display, promote and sell their work online. 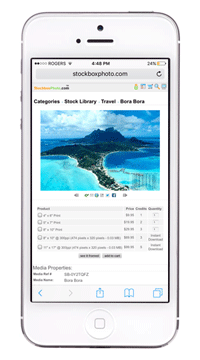 Stockbox Photo® Gallery Software provides an affordable solution for photographers, artists and artisans to display and sell their work online with a fully integrated shopping cart and secure online payment processing. Create your own stock photo library, portfolio or online proofing system and stop paying commissions to third party providers.